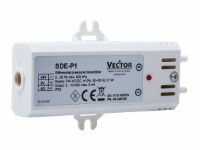 The SDE-P is a programmable differential pressure transmitter. 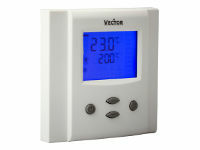 The transmitter measures the pressure by the use of a diaphragm that transfers the force onto a ceramic fulcrum lever. The signal is a temperature compensated and calibrated. The microprocessor samples the pressure once per second. It calculates an averaging signal over a preset number of seconds and generates an output signal based on minimum and maximum pressure values.